WITH THE PROOFS FROM THE SCRIPTURE . Assembly at EDINBURGH, July 28, 1648. Sess. 19. The General Assembly having seriously considered the SHORTER CATECHISM agreed upon by the Assembly of Divines sitting at Westminster, with assistance of Commissioners from this Kirk; do find, upon due examination thereof, that the said Catechism is agreeable to the word of God, and in nothing contrary to the received doctrine, worship, discipline, and government of this Kirk: And therefore approve the said Shorter Catechism, as a part of the intended uniformity, to be a Directory for catechising such as are of weaker capacity. 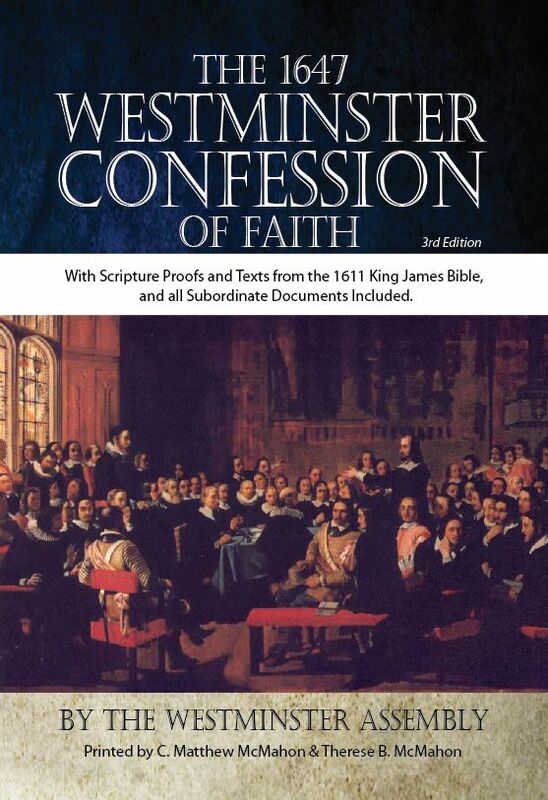 The Westminster Shorter Catechism was completed in 1647 by the Westminster Assembly and continues to serve as part of the doctrinal standards of many Presbyterian churches. The biblical proof texts included in this edition are those prepared by a special committee of the General Assembly of the Orthodox Presbyterian Church in 1978. [a]. Ps. 86:9; Isa. 60:21; Rom. 11:36; 1 Cor. 6:20; 10:31; Rev. [b]. Ps. 16:5-11; 144:15; Isa. 12:2; Luke 2:10; Phil. 4:4; Rev. A. The Scriptures principally teach what man is to believe concerning God, [a] and what duty God requires of man [b]. [b]. Deut. 10:12-13; Josh. 1:8; Ps. 119:105; Mic. 6:8; 2 Tim. A. God is a Spirit [a], infinite [b], eternal [c], and unchangeable [d] in his being [e], wisdom [f], power [g], holiness [h], justice [i], goodness [j], and truth [k]. [b]. 1 Kings 8:27; Ps. 139:7-10; 145:3; 147:5; Jer. 23:24; Rom. A. There is but one only [a], the living and true God [b]. A. God executeth his decrees in the works of creation and providence[a]. A. Our first parents, being left to the freedom of their own will, fell from the estate wherein they were created, by sinning against God [a]. A. Sin is any want of conformity unto, or transgression of, the law of God [a]. A. The sin whereby our first parents fell from the estate wherein thy were created, was their eating the forbidden fruit [a]. sinned in him, and fell with him, in his first transgression [b]. A. The fall brought mankind into an estate of sin and misery [a]. [d]. Gen. 6:5; Ps. 53:1-3; Matt. 15:19; Rom. 3:10-18, 23; Gal. A. All mankind by their fall lost communion with God [a], are under his wrath [b] and curse [c], and so made liable to all miseries in this life [d], to death [e] itself, and to the pains of hell for ever [f]. A. God having, out of his mere good pleasure, from all eternity, elected some to everlasting life [a,] did enter into a covenant of grace, to deliver them out of the estate of sin and misery, and to bring them into an estate of salvation by a Redeemer [b]. A. The only Redeemer of God’s elect is the Lord Jesus Christ [a], who, being the eternal Son of God [b], became man [c] and so was, and continueth to be, God and man in two distinct natures, and one person, forever [d]. A. Christ, the Son of God, became man, by taking to himself a true body, and a reasonable soul [a], being conceived by the power of the Holy Ghost, in the womb of the virgin Mary, and born of her [b] yet without sin [c]. A. Christ, as our Redeemer, executeth the offices of a prophet [a], of a priest [b], and of a king [c], both in his estate of humiliation and exaltation. A. Christ executeth the office of a prophet, in revealing to us, by his Word [a] and Spirit [b,] the will of God for our salvation [c]. A. Christ executeth the office of a priest, in his once offering up of himself a sacrifice to satisfy divine justice [a], and reconcile us to God [b]; and in making continual intercession for us [c]. right hand [c] of God the Father, and in coming to judge the world at the last day [d]. A. We are made partakers of the redemption purchased by Christ, by the effectual application of it to us by his Holy Spirit [a]. A. Effectual calling is the work of God’s Spirit, whereby, convincing us of our sin and misery, enlightening our minds in the knowledge of Christ [a], and renewing our wills [b], he doth persuade and enable us to embrace Jesus Christ [c], freely offered to us in the gospel [d]. A. They that are effectually called do in this life partake of justification, adoption, and sanctification, and the several benefits which in this life do either accompany or flow from them [a]. for the righteousness of Christ imputed to us [d], and received by faith alone [e]. A. Adoption is an act of God’s free grace [a], whereby we are received into the number, and have a right to all the privileges, of the sons of God [b]. A. Sanctification is the work of God’s free grace [a], whereby we are renewed in the whole man after the image of God [b], and are enabled more and more to die unto sin, and live unto righteousness [c]. from justification, adoption, and sanctification? A. The benefits which in this life do accompany or flow from justification, adoption, and sanctification, are, assurance of God’s love [a], peace of conscience [b], joy in the Holy Ghost [c], increase of grace [d], and perseverance therein to the end [e]. still united to Christ [c], do rest in their graves till the resurrection [d]. A. At the resurrection, believers being raised up in glory [a], shall be openly acknowledged and acquitted in the day of judgment [b], and made perfectly blessed in the full enjoying of God [c] to all eternity [d]. A. The duty which God requireth of man, is obedience to his revealed will [a]. A. The rule which God at first revealed to man for his obedience, was the moral law [a]. A. The moral law is summarily comprehended in the ten commandments [a]. A. The sum of the ten commandments is, To love the Lord our God with all our heart, with all our soul, with all our strength, and with all our mind; and our neighbour as ourselves [a]. A. The preface to the ten commandments teacheth us, That because God is the Lord, and our God, and Redeemer, therefore we are bound to keep all his commandments [a]. A. The first commandment requireth us to know and acknowledge God to be the only true God, and our God; and to worship and glorify him accordingly [a]. A. The first commandment forbiddeth the denying [a], or not worshipping and glorifying the true God as God [b], and our God [c]; and the giving of that worship and glory to any other, which is due to him alone [d]. Q. 48. What are we specially taught by these words, “before me,” in the first commandment? with, the sin of having any other God [a]. A. The second commandment requireth the receiving, observing, and keeping pure and entire, all such religious worship and ordinances as God hath appointed in his Word [a]. A. The second commandment forbiddeth the worshipping of God by images [a], or any other way not appointed in his Word [b]. A. The reasons annexed to the second commandment are, God’s sovereignty over us [a], his propriety in us [b], and the zeal he hath to his own worship [c]. A. The third commandment requireth the holy and reverend use of God’s names, titles [a], attributes [b], ordinances [c], Word [d], and works[e]. A. The third commandment forbiddeth all profaning or abusing of anything whereby God maketh himself known [a]. A. The reason annexed to the third commandment is, that however the breakers of this commandment may escape punishment from men, yet the Lord our God will not suffer them to escape his righteous judgment [a]. A. The fourth commandment requireth the keeping holy to God such set times as he hath appointed in his Word; expressly one whole day in seven, to be a holy sabbath to himself [a]. A. From the beginning of the world to the resurrection of Christ, God appointed the seventh day of the week to be the weekly sabbath [a]; and the first day of the week ever since, to continue to the end of the world, which is the Christian sabbath [b]. A. The sabbath is to be sanctified by a holy resting all that day, even from such worldly employments and recreations as are lawful on other days [a]; and spending the whole time in the public and private exercises of God’s worship [b], except so much as is to be taken up in the works of necessity and mercy [c]. idleness, or doing that which is in itself sinful, or by unnecessary thoughts, words, or works, about our worldly employments or recreations [a]. A. The reasons annexed to the fourth commandment are, God’s allowing us six days of the week for our own employments [a], his challenging a special propriety in the seventh, his own example, and his blessing the sabbath day [b]. A. The fifth commandment requireth the preserving the honor, and performing the duties, belonging to everyone in their several places and relations, as superiors, inferiors, or equals [a]. A. The fifth commandment forbiddeth the neglecting of, or doing anything against, the honor and duty which belongeth to everyone in their several places and relations [a]. A. The reason annexed to the fifth commandment is, a promise of long life and prosperity (as far as it shall serve for God’s glory and their own good) to all such as keep this commandment [a]. A. The sixth commandment requireth all lawful endeavors to preserve our own life, and the life of others [a]. A. The sixth commandment forbiddeth the taking away of our own life, or the life of our neighbour, unjustly, or whatsoever tendeth thereunto[a]. A. The seventh commandment requireth the preservation of our own and our neighbour’s chastity, in heart, speech, and behavior [a]. A. The seventh commandment forbiddeth all unchaste thoughts, words, and actions [a]. A. The eighth commandment requireth the lawful procuring and furthering the wealth and outward estate of ourselves and others [a]. A. The eighth commandment forbiddeth whatsoever doth, or may, unjustly hinder our own, or our neighbour’s, wealth or outward estate [a]. A. The ninth commandment requireth the maintaining and promoting of truth between man and man, and of our own and our neighbour’s good name [a], especially in witness bearing [b]. A. The ninth commandment forbiddeth whatsoever is prejudicial to truth, or injurious to our own, or our neighbour’s, good name [a]. neighbour, and all that is his [b]. A. The tenth commandment forbiddeth all discontentment with our own estate [a], envying or grieving at the good of our neighbour, and all inordinate motions and affections to anything that is his [b]. A. No mere man, since the fall, is able in this life perfectly to keep the commandments of God, but doth daily break them in thought, word, and deed [a]. A. Some sins in themselves, and by reason of several aggravations, are more heinous in the sight of God than others [a]. A. Every sin deserveth God’s wrath and curse, both in this life, and that which is to come [a]. diligent use of all the outward means whereby Christ communicateth to us the benefits of redemption [b]. A. Faith in Jesus Christ is a saving grace [a], whereby we receive and rest upon him alone for salvation, as he is offered to us in the gospel [b]. A. Repentance unto life is a saving grace [a], whereby a sinner, out of a true sense of his sin, and apprehension of the mercy of God in Christ [b], doth, with grief and hatred of his sin, turn from it unto God [c], with full purpose of, and endeavour after, new obedience [d]. communicateth to us the benefits of redemption? A. 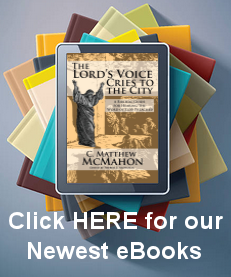 The outward and ordinary means whereby Christ communicateth to us the benefits of redemption are, his ordinances, especially the Word, sacraments, and prayer; all which are made effectual to the elect for salvation [a]. A. The Spirit of God maketh the reading, but especially the preaching of the Word, an effectual means of convincing and converting sinners, and of building them up in holiness and comfort, through faith, unto salvation [a]. faith and love, lay it up in our hearts, and practice it in our lives [b]. A. The sacraments become effectual means of salvation, not from any virtue in them, or in him that doth administer them; but only by the blessing of Christ, and the working of his Spirit in them that by faith receive them [a]. represented, sealed, and applied to believers [b]. A. The sacraments of the New Testament are, Baptism [a], and the Lord’s Supper [b]. A. Baptism is a sacrament, wherein the washing with water in the name of the Father, and of the Son, and of the Holy Ghost [a], doth signify and seal our ingrafting into Christ, and partaking of the benefits of the covenant of grace, and our engagement to be the Lord’s [b]. [a]; but the infants of such as are members of the visible church are to be baptized [b]. A. The Lord’s Supper is a sacrament, wherein, by giving and receiving bread and wine, according to Christ’s appointment, his death is showed forth [a]; and the worthy receivers are, not after a corporal and carnal manner, but by faith, made partakers of his body and blood, with all his benefits, to their spiritual nourishment, and growth in grace [b]. Lord’s body, of their faith to feed upon him, of their repentance, love, and new obedience; lest, coming unworthily, they eat and drink judgment to themselves [a]. A. The preface of the Lord’s Prayer, which is, Our Father which art in heaven, teacheth us to draw near to God with all holy reverence[a] and confidence [b], as children to a father [c], able and ready to help us [d]; and that we should pray with and for others [e]. A. In the first petition, which is, Hallowed be thy name, we pray, that God would enable us, and others, to glorify him in all that whereby he maketh himself known [a]; and that he would dispose all things to his own glory [b]. A. In the second petition, which is, Thy kingdom come, we pray, that Satan’s kingdom may be destroyed [a]; and that the kingdom of grace may be advanced [b], ourselves and others brought into it, and kept in it [c]; and that the kingdom of glory may be hastened [d]. A. In the third petition, which is, Thy will be done in earth, as it is in heaven, we pray, that God, by his grace, would make us able and willing to know, obey, and submit to his will in all things [a], as the angels do in heaven [b]. A. In the fourth petition, which is, Give us this day our daily bread, we pray that of God’s free gift we may receive a competent portion of the good things of this life, and enjoy his blessing with them [a]. A. In the fifth petition, which is, And forgive us our debts, as we forgive our debtors, we pray that God, for Christ’s sake, would freely pardon all our sins [a]; which we are the rather encouraged to ask, because by his grace we are enabled from the heart to forgive others [b]. A. In the sixth petition, which is, And lead us not into temptation, but deliver us from evil, we pray, that God would either keep us from being tempted to sin [a], or support and deliver us when we are tempted [b].